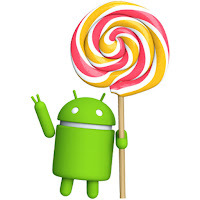 Google has posted the Android 5.1 factory images for the Google Nexus 6 and the Google Nexus 5. Both the Motorola built Google Nexus 6 and the LG built Google Nexus 5 will run the LMY47I software version after installing the update. Factory images are not meant for general users to update their devices. They should instead wait for the official OTA updates. You can use factory images if you want to restore a Nexus devices which has been rooted or customized to its default state. You can also use factory images fix a device where the OS is corrupt.